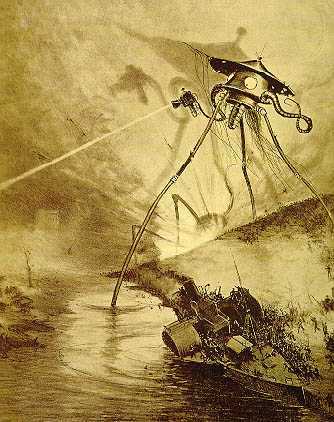 Alien invasion from Mars, H. G. Wells' The War of the Worlds . Science-fiction film is a genre that uses speculative, fictional science-based depictions of phenomena that are not fully accepted by mainstream science, such as extraterrestrial lifeforms, alien worlds, extrasensory perception and time travel, along with futuristic elements such as spacecraft, robots, cyborgs, interstellar travel or other technologies. Science-fiction films have often been used to focus on political or social issues, and to explore philosophical issues like the human condition. In many cases, tropes derived from written science fiction may be used by filmmakers ignorant of or at best indifferent to the standards of scientific plausibility and plot logic to which written science fiction is traditionally held. 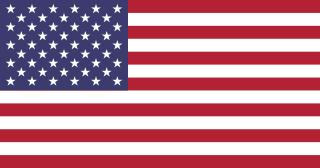 Hegemony is the political, economic, or military predominance or control of one state over others. In ancient Greece, hegemony denoted the politico-military dominance of a city-state over other city-states. 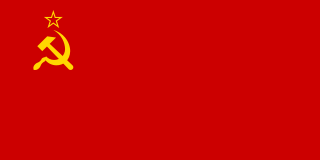 The dominant state is known as the hegemon. 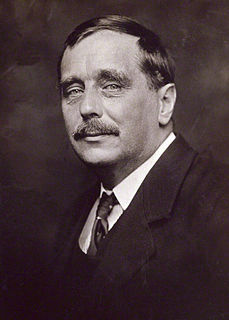 Herbert George Wells was an English writer. He was prolific in many genres, writing dozens of novels, short stories, and works of social commentary, satire, biography, and autobiography, and even including two books on recreational war games. He is now best remembered for his science fiction novels and is often called a "father of science fiction", along with Jules Verne and Hugo Gernsback. The Day the Earth Stood Still is a 1951 American black-and-white science fiction film from 20th Century Fox, produced by Julian Blaustein and directed by Robert Wise. The film stars Michael Rennie, Patricia Neal, Billy Gray, Hugh Marlowe, and Sam Jaffe. The screenplay was written by Edmund H. North, based on the 1940 science fiction short story "Farewell to the Master" by Harry Bates, and the film score was composed by Bernard Herrmann. 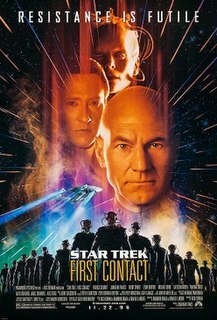 Star Trek: First Contact is a 1996 American science fiction film directed by Jonathan Frakes, and based on the franchise of the same name created by Gene Roddenberry. It is the eighth film in the Star Trek film series, as well as the second to star the cast of the series Star Trek: The Next Generation. In the film, the crew of the USS Enterprise-E travel back in time from the 24th century to the mid 21st-century in order to stop the cybernetic Borg from conquering Earth by changing their past. Arrival is a 2016 American science fiction film directed by Denis Villeneuve and written by Eric Heisserer. 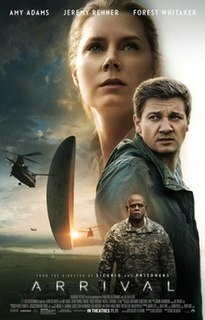 It is based on the 1998 short story, "Story of Your Life" by Ted Chiang, and stars Amy Adams, Jeremy Renner, and Forest Whitaker. The film follows a linguist enlisted by the U.S. Army to discover how to communicate with aliens who have arrived on Earth, before tensions lead to war. Technically, a human invasion of an alien species is also an alien invasion, as from the viewpoint of the aliens, humans are the aliens. Such stories are much rarer than stories about aliens attacking humans. 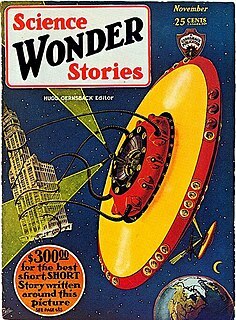 Examples include the short story Sentry (1954) (in which the "aliens" described are, at the end, explained to be humans), the video game Phantasy Star II (1989),  The Martian Chronicles by Ray Bradbury, the Imperium of Man in the Warhammer 40,000 universe, Invaders from Earth by Robert Silverberg, the movies Battle for Terra (2007), Planet 51 (2009), Avatar (2009) and Mars Needs Moms (2011). Phantasy Star II is a role-playing video game developed and published by Sega for the Sega Genesis. It was released in Japan and North America in 1989, and in Europe in 1990. It was later ported to a variety of different platforms. An updated remake, Phantasy Star Generation 2, was released for the PlayStation 2 in 2005 in Japan. Invasion literature is a literary genre that was popular in the period between 1871 and the First World War (1914–1918). The invasion novel first was recognized as a literary genre in Britain, with the novella The Battle of Dorking: Reminiscences of a Volunteer (1871), an account of the Imperial German invasion of England, which, in the Western world, aroused the national imaginations and anxieties about hypothetical invasions by foreign powers; by 1914 the genre of invasion literature comprised more than 400 novels and stories. This theme has also been explored in fiction on the rare occasion. With this type of story, the invaders, in a kind of little grey/green man's burden, colonize the planet in an effort to spread their culture and "civilize" the indigenous "barbaric" inhabitants or secretly watch and aid earthlings saving them from themselves. The former theme shares many traits with hostile occupation fiction, but the invaders tend to view the occupied peoples as students or equals rather than subjects and slaves. The latter theme of secret watcher is a paternalistic/maternalistic theme. In this fiction, the aliens intervene in human affairs to prevent them from destroying themselves, such as Klaatu and Gort in The Day the Earth Stood Still warning the leaders of Earth to abandon their warlike ways and join other space-faring civilizations else that they will destroy themselves or be destroyed by their interstellar union. Other examples of a beneficial alien invasion are Gene Roddenberry's movie The Questor Tapes (1974) and his Star Trek episode "Assignment: Earth" (1968); Arthur C. Clarke's Childhood's End ,  the anime and novel series Crest of the Stars , the film Arrival (2016), and David Brin's Uplift series of books. The beginning half of the popular video games Halo 2 and Halo 3 deals with the defense of Earth against a genocidal alien empire, the Covenant. The protagonist of the game along with Earth's military force, the UNSC , and a group of former Covenant who rebelled, the Covenant Separatists, eventually repel the invasion and topple the Covenant. Fictional representations of Mars have been popular for over a century. Interest in Mars has been stimulated by the planet's dramatic red color, by early scientific speculations that its surface conditions might be capable of supporting life, and by the possibility that Mars could be colonized by humans in the future. Almost as popular as stories about Mars are stories about Martians engaging in activity away from their home planet. A Martian is a native inhabitant of the planet Mars. Although the search for evidence of life on Mars continues, many science fiction writers have imagined what extraterrestrial life on Mars might be like. Some writers also use the word Martian to describe a human colonist on Mars. 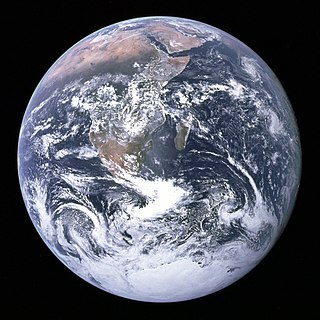 An overwhelming majority of fiction is set on or features the Earth. However, authors of speculative fiction novels and writers and directors of science fiction film deal with Earth quite differently from authors of conventional fiction. Unbound from the same ties that bind authors of traditional fiction to the Earth, they can either completely ignore the Earth or use it as but one of many settings in a more complicated universe, exploring a number of common themes through examining outsiders' perceptions of and interactions with Earth. The Mysterons are a fictional race of extraterrestrials and the antagonists in the 1960s British Supermarionation science-fiction television series Captain Scarlet and the Mysterons (1967–68), and its 2005 computer-animated remake, Gerry Anderson's New Captain Scarlet. First contact is a common science fiction theme about the first meeting between humans and extraterrestrial life, or of any sentient race's first encounter with another one, given they are from different planets or natural satellites. In science fiction and ufology, a Venusian or Venerian is a native inhabitant of the planet Venus. Many science fiction writers have imagined what extraterrestrial life on Venus might be like. Many works of fiction have featured UFOs. In most cases, as the fictional story progresses, the Earth is being invaded by hostile alien forces from outer space, usually from Mars, as depicted in early science fiction, or the people are being destroyed by alien forces, as depicted in the film Independence Day. Some fictional UFO encounters may be based on real UFO reports, such as Night Skies. Night Skies is based on the 1997 Phoenix UFO Incident. The Martians, also known as the Invaders, are the fictional race of extraterrestrials from the H.G. Wells novel The War of the Worlds. They are the main antagonists of the novel, and their efforts to exterminate the populace of England and claim the planet for themselves drive the plot and present challenges for the novel's human characters. They are notable for their use of extraterrestrial weaponry far in advance of that of mankind at the time of the invasion. War of the Worlds: New Millennium is a science fiction novel by Douglas Niles, released in 2005 by Tor Books. Edison's Conquest of Mars is an 1898 science fiction novel by American astronomer and writer Garrett P. Serviss. It was written as a sequel to Fighters from Mars, an unauthorized and heavily altered version of H. G. Wells's The War of the Worlds. It has a place in the history of science fiction for its early employment of themes and motifs that later became staples of the genre. Mars has two moons, Phobos and Deimos. Due to their small size, both moons were discovered only in 1877, by astronomer Asaph Hall. Nevertheless, they frequently feature in works of science fiction. 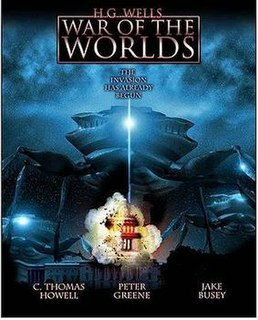 War of the Worlds 2: The Next Wave is a 2008 direct-to-DVD science fiction film directed by and starring C. Thomas Howell. The film was produced and distributed independently by The Asylum. The War of the Worlds is a science fiction novel by English author H. G. Wells, first serialized in 1897 by Pearson's Magazine in the UK and by Cosmopolitan magazine in the US. The novel's first appearance in hardcover was in 1898 from publisher William Heinemann of London. Written between 1895 and 1897, it is one of the earliest stories to detail a conflict between mankind and an extraterrestrial race. The novel is the first-person narrative of both an unnamed protagonist in Surrey and of his younger brother in London as southern England is invaded by Martians. The novel is one of the most commented-on works in the science fiction canon. The Man Who Loved Mars is a science fantasy novel by American writer Lin Carter, the first in his Edgar Rice Burroughs- and Leigh Brackett-inspired series The Mysteries of Mars. It was first published in paperback by Fawcett Gold Medal in March 1973. The first British edition was published in hardcover by White Lion in August of the same year. It was reissued by Wildside Press in December 1999. The novel has also been translated into German. Sardath is a science fiction character appearing in American comic books published by DC Comics. Created by editor Julius Schwartz and Murphy Anderson, he first appeared in Showcase #17. ↑ Kasavin, Greg (July 15, 2005). "The Greatest Games of All Time: Phantasy Star II". GameSpot . Retrieved 2010-09-13. 1 2 Flynn, John L. (2005). War of the Worlds: From Wells to Spielberg. Galactic Books. pp. 18–19. ISBN 0-9769400-0-0. ↑ Guthke, Karl S. (1990). The Last Frontier: Imagining Other Worlds from the Copernican Revolution to Modern Fiction. Translated by Helen Atkins. Cornell University Press. pp. 301-304. ISBN 0-8014-1680-9. ↑ Batchelor, John (1985). H.G. Wells. Cambridge University Press. p. 28. ISBN 0-521-27804-X. ↑ Gerrold, David (2005). Glenn Yeffeth, ed. "War of the Worlds". War of the Worlds: fresh perspectives on the H.G. Wells classic. BenBalla: 202–205. ISBN 978-1-932100-55-6. ↑ Urbanski, Heather (2007). Plagues, Apocalypses and Bug-Eyed Monsters. McFarland. pp. 156–8. ISBN 0-7864-2916-X. ↑ Peter, Lev (2006-11-06). Transforming the screen, 1950-1959. History of the American cinema. 7. University of California Press. p. 177. ISBN 0-520-24966-6. Invasion films were common in the 1950s featuring a variety of aliens portrayed as superior to earthlings both in intelligence and technology. In these films, aliens represent what some Americans feared about the Soviets. Invaders, friends or enemies, and often with the help of robots, either come to warn earthlings or destroy them with superior technology. Sometimes, the invaders use the strategy of infiltration, taking over the minds of the people, making slaves of them or appropriating their bodies, thus making war unnecessary. In some instances, the aliens already had a similar appearance - in Star Trek, while officially made contact with Humanity in 2063, (and were not "invaders" - some were shipwreck survivors, others time-travelers, accompanied by at least one Human, from a future where their respective worlds were allies) no fewer than six Vulcans had spent some time on Earth, passing as Human simply by using hair or skullcaps to conceal their pointed ears. ↑ Parrinder, Patrick (2001). "Estranged Invaders: The War of the Worlds". Learning from Other Worlds: Estrangement, Cognition, and the Politics of Science Fiction. Duke University Press. p. 143. ISBN 0-8223-2773-2. ↑ "Ender's Game". Publishers Weekly. Retrieved 2013-11-03.